The mornings have been extra nice this week. My son doesn’t have to be at school until 10:00 am because we opt out of the New York State tests that are being given this week. This means I get to sleep later and RUN LATER. I don’t like to run too late but I also don’t like to run too early. I have a specific happy run time window which is always affected by the school schedule. While other parents are opting their kids out of these state tests because they don’t believe in the testing, I am over here like, you mean if I opt out of the state tests my son doesn’t have to be at school at 7:30 am during my happy run time? Where do I sign? In all seriousness, I opt my son out of these tests because in my opinion, if there’s an option to NOT take a test, why would I require him to take it? Clearly there is something wrong with a test if it’s considered optional. Why couldn’t tests be optional when I was a kid? 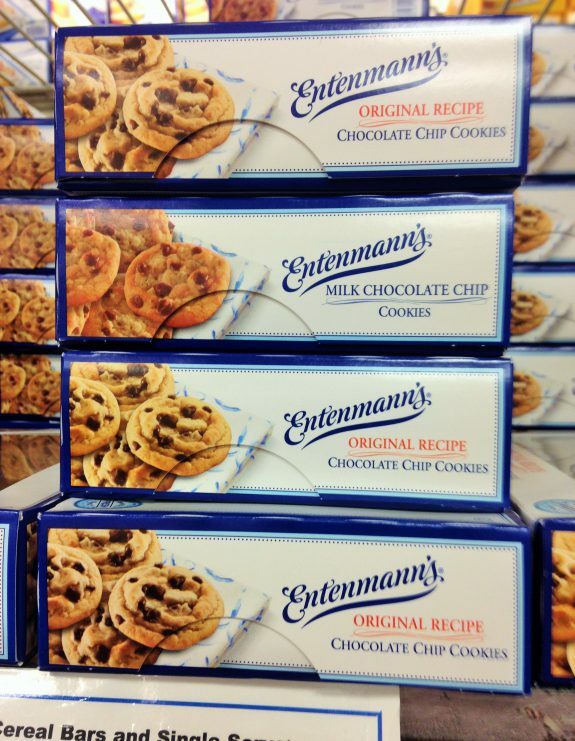 I mentioned Entenmann’s chocolate chip cookies the other day and then Suzy reminded me that not everyone knows what Entenmann’s is which breaks my heart. This box of cookies defines my childhood. 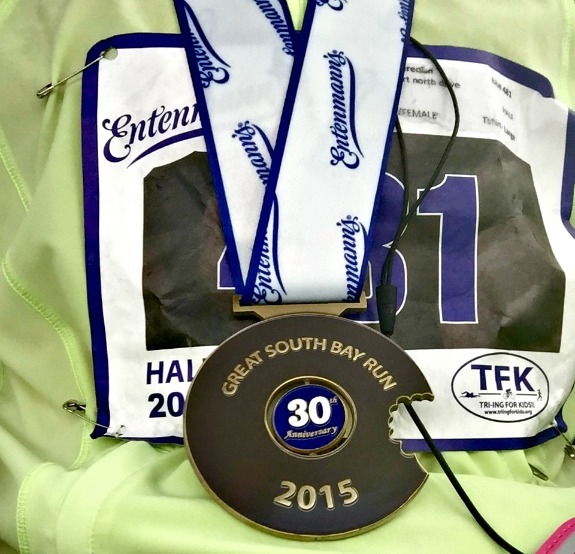 And let’s not forget that I once ran the Entenmann’s Great South Bay Half Marathon which awarded me with a donut medal at the finish line. My best friend Heather and I used to sit at the kitchen table with our favorite Entenmann’s goodies (a box for each of us) and just laugh and eat < – seriously fond memories right here! Her favorite was the marshmallow iced devils food cake. They didn’t sell Entenmann’s down in Florida when she moved there so I would send her favorite cake to her by mail or bring it with me when I would go to visit. 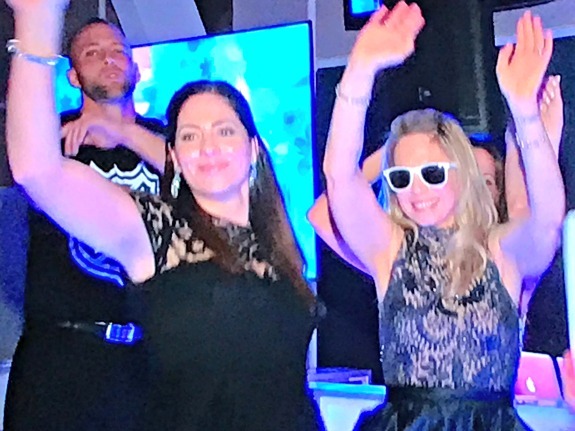 Speaking of Heather, I watched the Bar Mitzvah video the other night and took a picture of the TV screen so we could laugh again about how silly we looked dancing on the stage. It’s crazy to think how long we have been friends sometimes. She is totally going to kill me about the pictures I post here on the blog. 3/30/16: What I Ate Wednesday < – So I laughed out loud when I saw that I ate the exact same dinner in last year’s WIAW post as I did in yesterday’s WIAW post. 3/30/15: Races On My Radar < – I should revisit this list! 3/30/13: Long Run Challenge < – It’s nice to see posts from four years ago that discuss things that went wrong during my long run. It’s a nice reminder that it will always happen from time to time! Do you have a specific happy run time? Is it in the morning, afternoon or evening? Favorite type of packaged cookie/cake as a kid? I loved Entenmann’s crumb top donuts as a child! I haven’t had them in years and don’t want to, so I don’t ruin the memories of being a child camping or at a sleepover with friends. My happy run time is mid morning, right around 7-8 AM. Early enough to be before breakfast but late enough for there to be light outside. OMG the chocolate crumb tops were the best donuts!! I don’t even recognize those cookies! I wonder if they’re an east coast thing? As a teenager I used to love those Dad’s chocolate chip cookies that are yellow and look, taste and feel like chemicals. Dad’s oatmeal chocolate chip cookies were good dipped in milk. they must be an east coast thing but laura had them growing up so I guess they made to the Midwest too? And I am not sure what Dad’s is so maybe that’s a brand we don’t have? My run time depends on when my sister has to get to school. On normal days that means I get up at 5am to get my run in before she goes, but on days she has no school I get to sleep in till 7am! I was in love with the breakfast coffee cake, the one with the icing and sliced almonds. The crumb cake wasn’t bad either, especially when you add a little butter. Ahhh, what memories. the crumb cake was so good! my favorite was the crumb topped chocolate chip cake with chocolate filling! I would love to run at about 6am every day except for when it’s too cold, which in So Cal isn’t too often. Unfortunately, I have to leave for work by 7 so 6 is way to late to get my run in. I’ve never seen those cookies either. I used to love (well, still love) double stuft Oreos. I loved double stuff oreos too! 6 am in the summer is perfect for me. The rest of the year, it starts to feel too early probably because it’s dark and cold! This brought back so many good memories of when we used to visit the Entemann’s store that was about an hour from our house. We would get all these danishes and breads for a really cheap price; and we would bring them all home. Oh for that food freedom again! I want to be back there someday. one day you will find that freedom again! one day at a time. My happy run time is forever disrupted by my job — whose idea was 8-5 anyway?! On the weekends when we’re just bumming around, I usually go around 11 or 11:30. I like to have breakfast and start the day relaxed then go run before I get hungry for lunch….kind of sounds like I plan my runs around my meals! Megan McGown recently posted…Think Out Loud? Yes, Please! I love getting up early, I often wake up at 4h30 am and exercise. But recently, I was not able to maintain this habit. I just got these cookies, and they are yummy! Very good cookie with coffee.